Happy Weekend! FB Recap and More! Such a fun event! 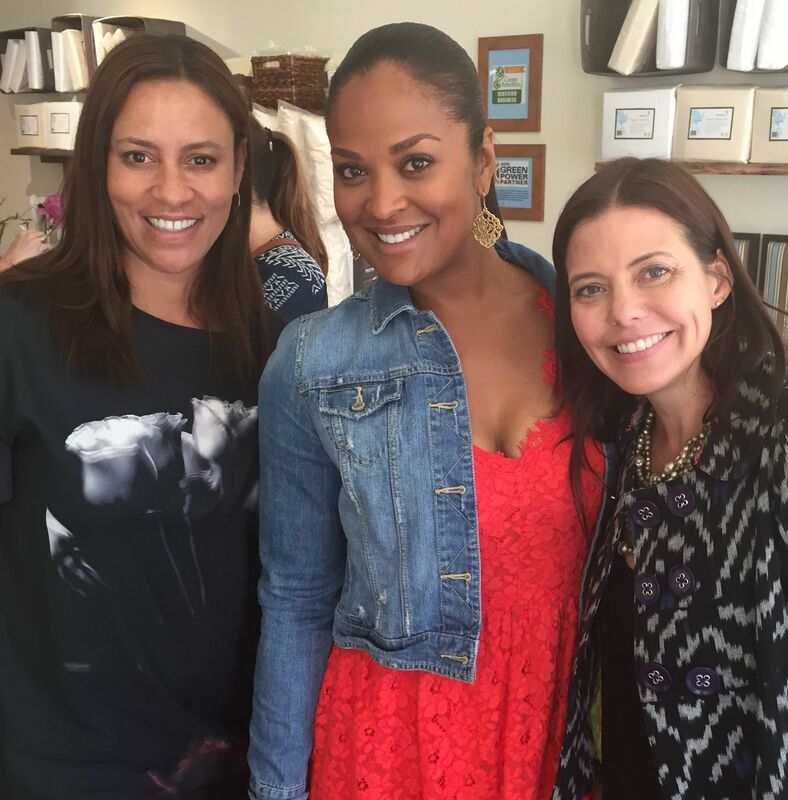 At Mommy Greenest’s book launch with Laila Ali and Rachel Sarnoff at Naturepedic. What a busy end-of-school-year season! I’m looking forward to a low-key summer. Maybe you are too? But first, my son is graduating from elementary school and my daughter is graduating from middle school. I’m incredibly proud of them for their hard work, perseverance, humor and most of all, their kindness. I posted a lot this week on Beyond The Brochure’s Facebook Page, so if you’re not following on Facebook, you might be missing stuff I don’t post here on the blog. I didn’t post this on FB, but it might be helpful to those of you still on wait-lists. Rejection Or Wait-Lists, What To Do? (Huffington Post). 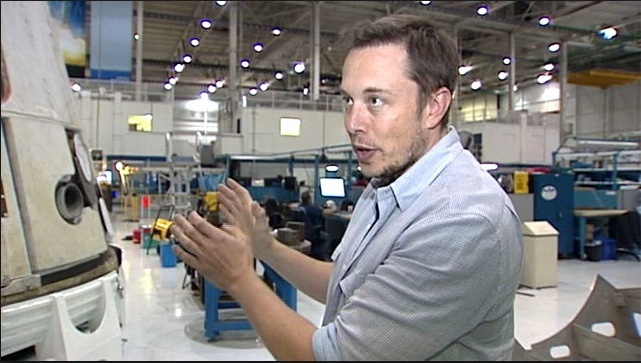 In case you missed it on Beyond The Brochure’s Facebook Page, Mr. Space X started his own private school in the L.A. area. It’s no surprise there’s a lot of interest in this school. Here’s the article on Business Insider. 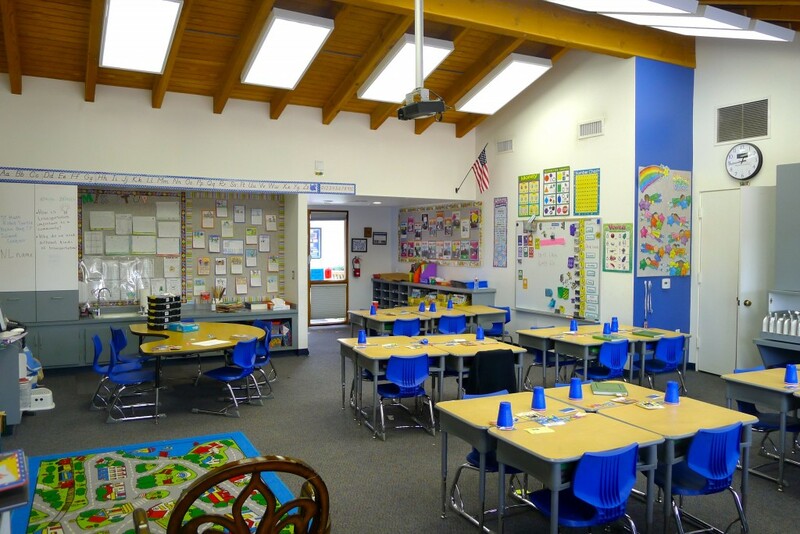 Mirman School evokes a sense of mystery among parents looking for a private elementary and/or middle school in Los Angeles. It’s a school for brainy kids who need a place where they will be challenged to the full extent of their capabilities, where they will be encouraged to explore their deep interests and where they’ll find a peer group doing the same. The school’s mysterious quality may stem from the fact that even before you can apply, your kid must receive a minimum IQ score of 145 on the Stanford Binet LM test, or they can take the Weschler Intelligence test. The school provides a list of licensed psychologists who can administer the test. After test results are provided to the school, families can proceed with the admissions process. A passing score on the test doesn’t guarantee admission, but offers the opportunity to apply. These days, change is in the air at Mirman. Dan Vorenberg is Mirman’s new-ish head of school, taking the helm just less than two years ago. In that short time, he’s walked a delicate balance between remaining true to Mirman’s mission—and enviable track record– while making changes that will enhance the school’s core mission. Right away, he got to work with staff, faculty and parents to bring about changes—some big, others small but important. At a school with an established 52-year history, this takes careful balancing. I met Dan in his office on a cloudy afternoon. This was my first visit to the school and I wasn’t sure what to expect. Kids who seemed overly serious? Stressed out parents hovering nearby? 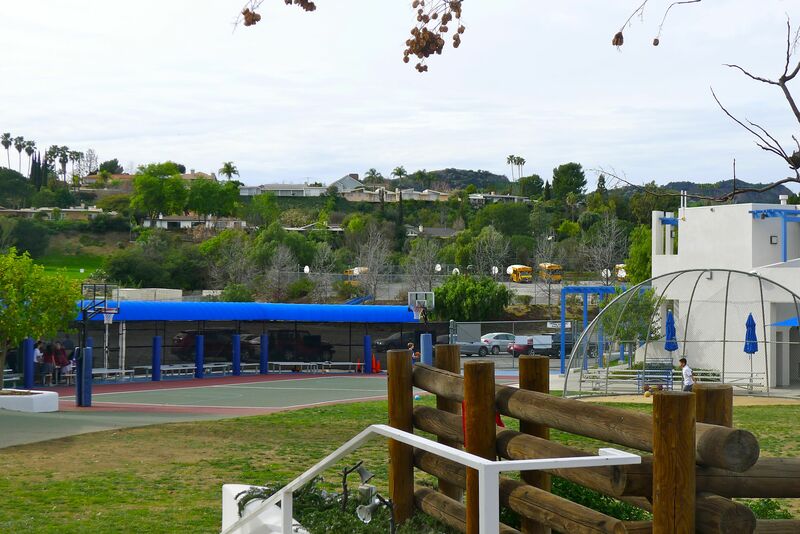 The answer, like something out of an SAT test, was “None of the above.” I was immediately impressed by the low-key atmosphere at the school, located on a serene six-acre campus off Mulholland Drive. The lower and upper school buildings, surrounded by trees and stunning views, anchor the campus, which is truly an urban sanctuary. 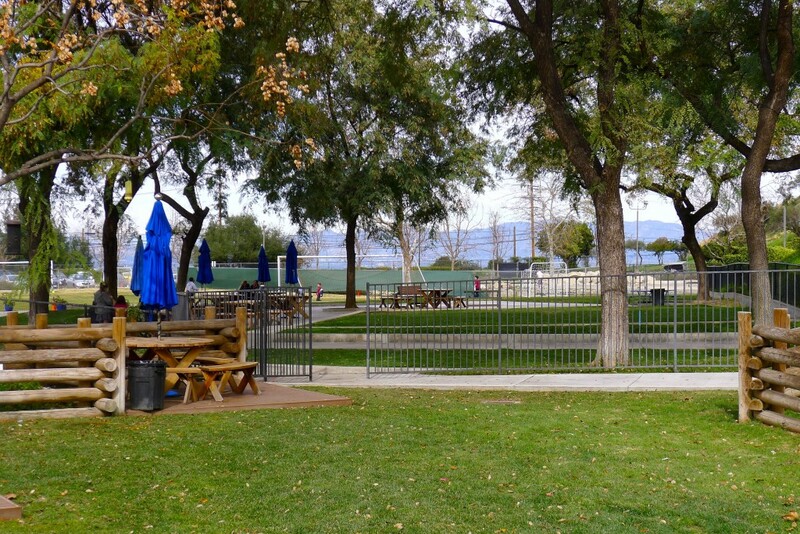 With views of the city and valley, Mirman has a Lower School (ages 5-9) and an Upper School (ages 10-14). The Lower and Middle Schools are in separate buildings. Outdoor sports areas, including new athletic fields, round out the facility. As we walked through the school, Dan stopped to chat with kids, getting quick updates from one girl, asking a young boy how things were going. He knows their names, their interests and what they’re about as individuals. The kids seem genuinely happy and energetic, totally engaged in their classroom work and socializing outside the class. Dan, who possesses a wealth of experience as an educator, wants Mirman to be a combination of “Love and achievement.” “Highly gifted isn’t always about math, but can be a kid who is interested in mythology or robotics,” he explains. Mirman, he tells me, offers a place where it’s cool to be smart and where kids understand and challenge each other. Mirman serves students who have narrow interests as well as those who are still figuring out what inspires them. The school, he says, meets kids where they are academically, at whatever level that is. Academic excellence will always remain at Mirman’s core. Mirman students are all very smart. Yet within this category (up to an IQ of 180), there are kids who have deep, narrow interests and those who have a myriad of broad interests. The school is designed to teach them all. It feeds their intellect and imaginations. There are young Einsteins who seem older than their years, leaving for college earlier than their peers. But, mostly there are kids who need a curriculum designed for their giftedness. There are kids who are stronger in one subject than others, for example math. There are kids who need tutors to get through classes. Just like any school, there are a wide range of individuals, except at Mirman, they share one thing in common: high IQs. There are no grade levels at Mirman. The school is based on student’s ages (ages 5-14). 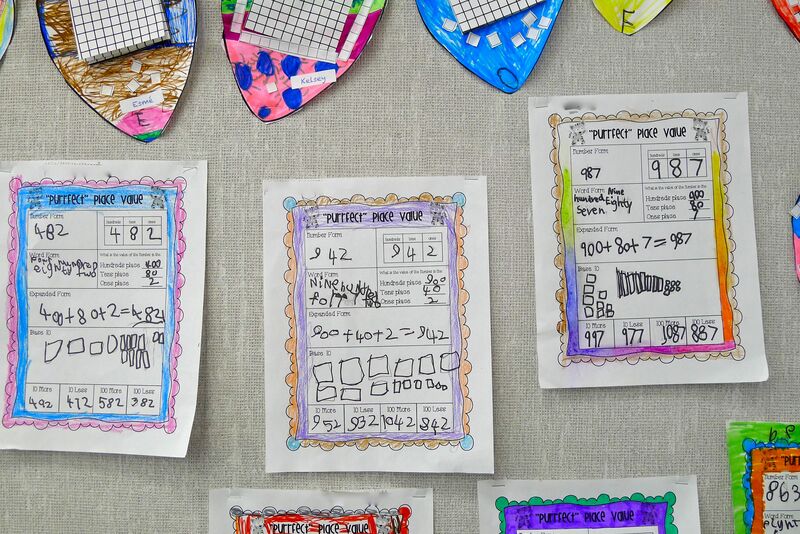 Kids work in classes called “Rooms” rather than grade levels. The Lower School curriculum is the equivalent to grades 1-5 in other schools. The Upper School is comparable to grades 6- 9. This structure allows fluidity for kids to move between rooms, depending on the level he/she is working at. For example, an eight year-old might learn math with kids who are ten and 11 years old, but work with his/her own age group for other subjects. In the Lower School kids are taught by their homeroom teacher and specialists for languages, art, music and P.E. Students receive individual instruction and work in small and large groups, based on ability and interests. Dan brings 31 years of experience in private/independent schools to Mirman. With his background, he is comfortable taking a big picture view of Mirman’s future. He is incredibly well-versed in various educational philosophies, from traditional to progressive. He’s also a kind, friendly and approachable dad of three kids, with a true affinity for children and education. 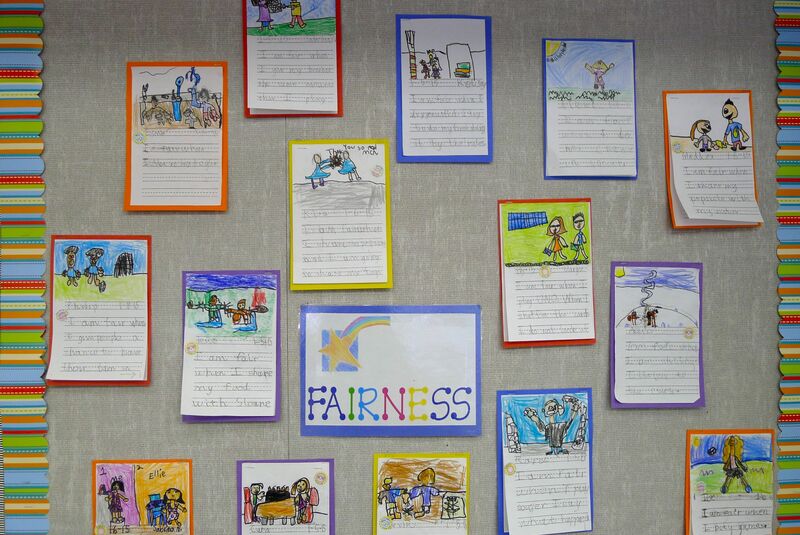 Mirman is a traditional school and won’t deviate from this core educational value. As we sat talking in his office, he didn’t hesitate to answer my questions about the changes he’s initiating. Big picture, Dan told me he is working to broaden the focus of the school and opportunities for students by enhancing sports, arts and community, while staying true to Mirman’s mission of academic excellence. Mirman will always offer kids the chance to explore complex academic issues, but Dan believes that music, arts, sports and a sense of community should also be central to the school’s mission. The school’s strong, sometimes intense, intellectual atmosphere, he believes, is enhanced by a broader curriculum. Academic renown is the defining feature of the school. 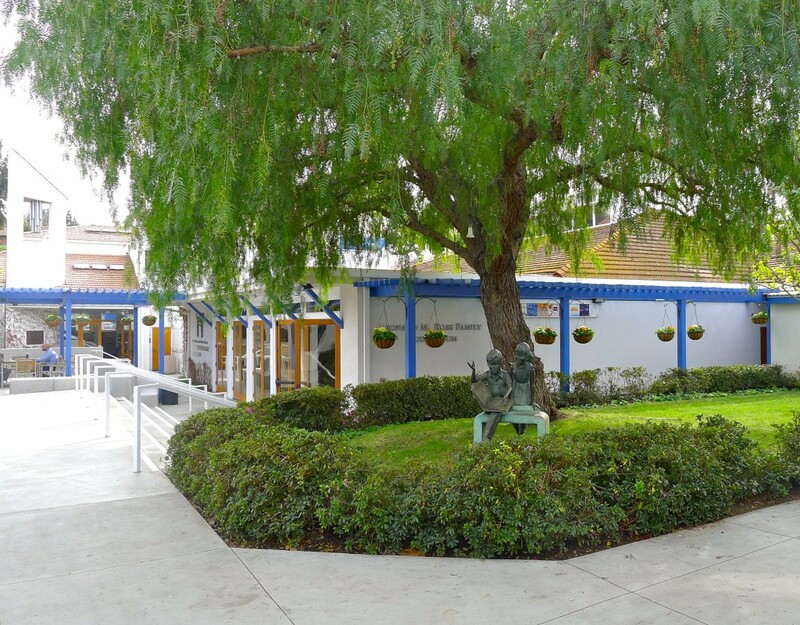 The focus at Mirman will always be on the students first and foremost, with a community of involved, engaged parents to build on the foundations of community that exist at the school. It is expected that Mirman students will go on to excel in high school, college and in their chosen fields. For Dan, it is as important that they also become thoughtful, caring and contributing citizens of the world. Dan has made staffing changes. In addition to the arrival of several new educators and administrators, he hired a new admissions director, Jen Liggitt, and there is a search underway for a new head of Upper School. There are changes happening with the faculty too. He has introduced regular assemblies that bring students together, helping to build community and his team is working to integrate some aspects of the curriculum. Walking around the newly expanded athletic fields, one of Dan’s first projects, he points out that among the kids playing soccer there was one student using the goal post to write with a pencil and paper. At Mirman, this sort of thing is totally fine and nobody told the kid to “join the game or leave,” as might happen at another school. 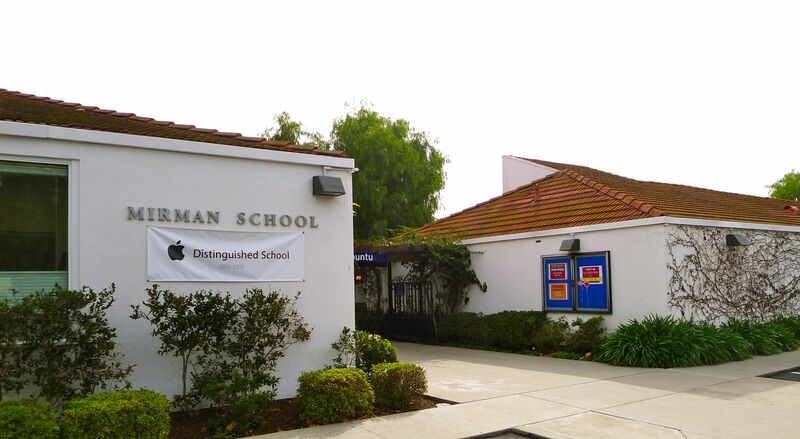 As the fifth head of school, Dan is excited about the school’s unique characteristics, its quirkiness and its potential for entering the next phase of growth based on the Mirman founder’s vision and inspiration. I’ve always heard from Mirman parents that the school is really about the students and to a lesser extent about their parents. Giving highly gifted kids what they need to excel and create an environment for them to do so is what the school does best. Parents matter too, but because the school requires an IQ test, the family—who they are or what they do– may take on less significance than at other schools. 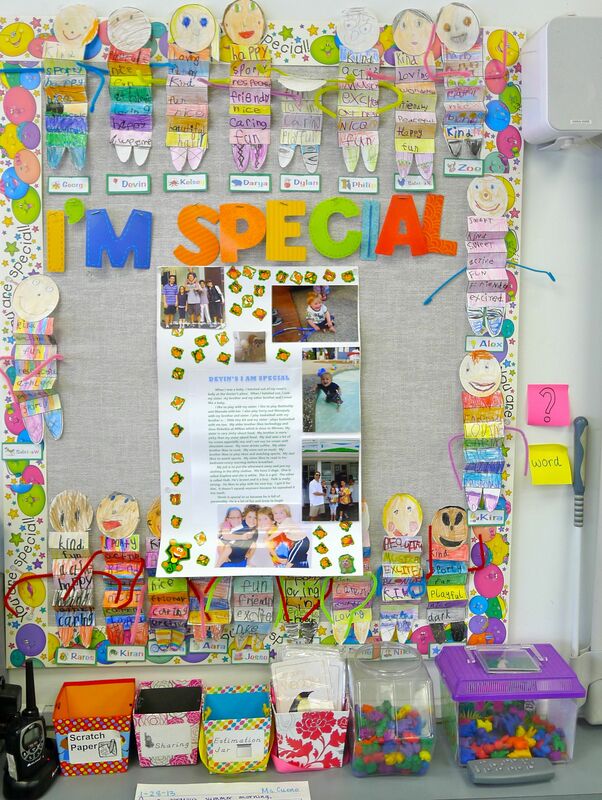 “I loved the small class sizes, the attention to an individual student’s needs/abilities, the ease of movement between levels based on student’s readiness, their very strong alumni culture (my kid loves to attend the Thanksgiving alumni breakfast hosted by Mirman every year and it’s amazing how many older alumni show up to that thing), how none of the kids feel “different” or “special” or go around boasting because they’re all in the same boat. Most of all so many of the amazing teachers stand out to me, especially Mr. Kay, the choir teacher, who puts on the most amazing concerts.”–Former Mirman parent, currently at Harvard-Westlake. Of note, The Mirman Concert Singers performed at the 2014 Heritage Music Festival in Montreal, winning the Outstanding Choral Award for the highest score of all choirs. The brain is a mysterious thing, and IQ is only one measure of its wonders, but Mirman isn’t so mysterious after all. It’s a school where really smart kids can exercise their gifts in a variety of ways, find their peer group, and develop into future leaders. Admission to Mirman is competitive. The school receives several hundred applications for about 40 openings for the entry year. There are very few openings in older grades. In addition to IQ tests as the basic qualification, other admissions considerations include, school readiness, intellectual curiosity and working above grade level. Mirman has a generous financial aid budget of $1 million per year. 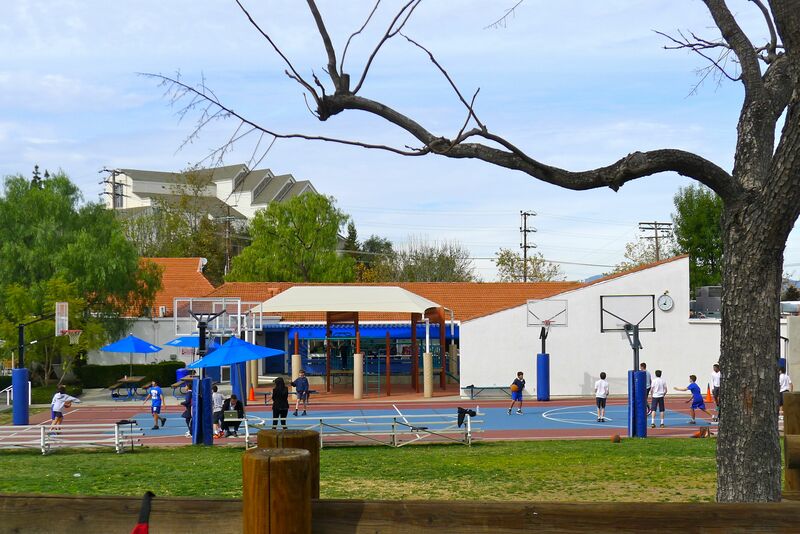 Students who graduate from Mirman attend a variety of secondary schools like Harvard-Westlake, Crossroads, Windward, Viewpoint, Marlborough and boarding schools like Exeter, Andover, Choate and others. You absolutely must check on the school’s great looking and informative new website at www.mirman.org –it’s definitely one of the best school websites I’ve seen! Like Beyond The Brochure on Facebook to get all the updates! There’s a super-interesting new high school on the L.A. Center Studios lot in downtown L.A. Relativity High School is a school for students who want to pursue a career in the multi-discipline entertainment industry. Relativity High School is a gifted & talented program affiliated with The Dwight School in NYC. I haven’t seen the school and I don’t typically post about high schools, but this one looks unique and just the type of school that might interest L.A. families! 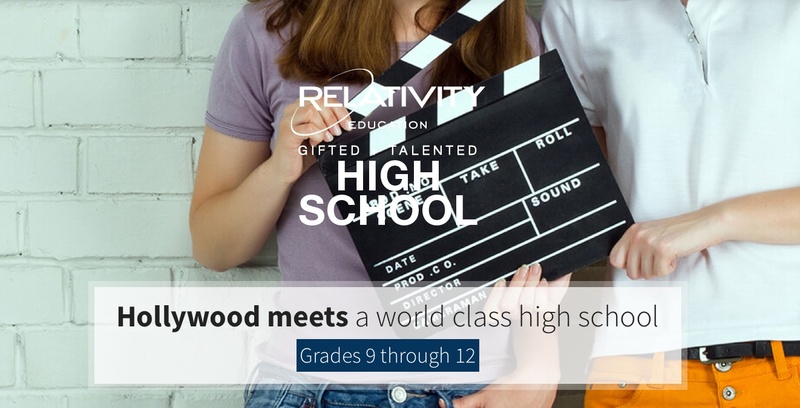 The school’s tagline says it all, Relativity High School: Hollywood Meets A World Class High School. Like Beyond The Brochure on Facebook to get news, events and updates! Heather Morrison Poland is a mom at Branches Atelier Preschool in Culver City. I met Heather when I spoke at Branches in 2013. So, I was excited when she told me she and a group of parents/educators are opening a new Reggio-inspired private elementary school on the Westside of L.A (location TBD). 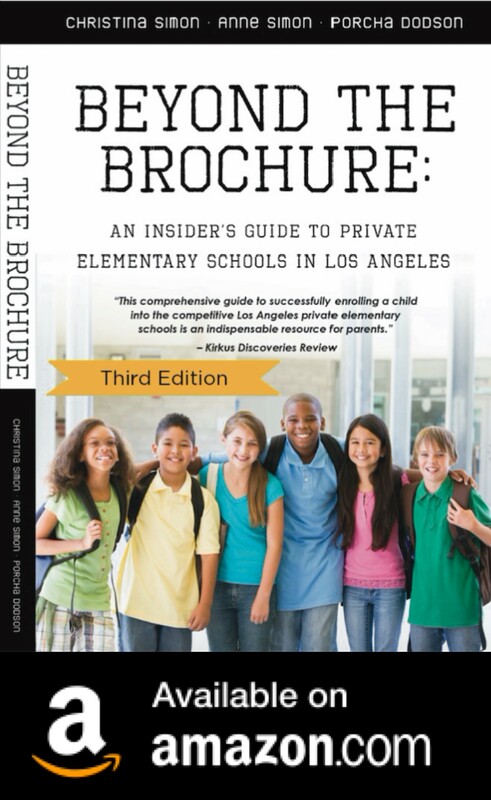 Progressive School L.A. is accepting applications for kindergarten for 2015/2016. Don’t miss a thing! Like Beyond The Brochure on Facebook.